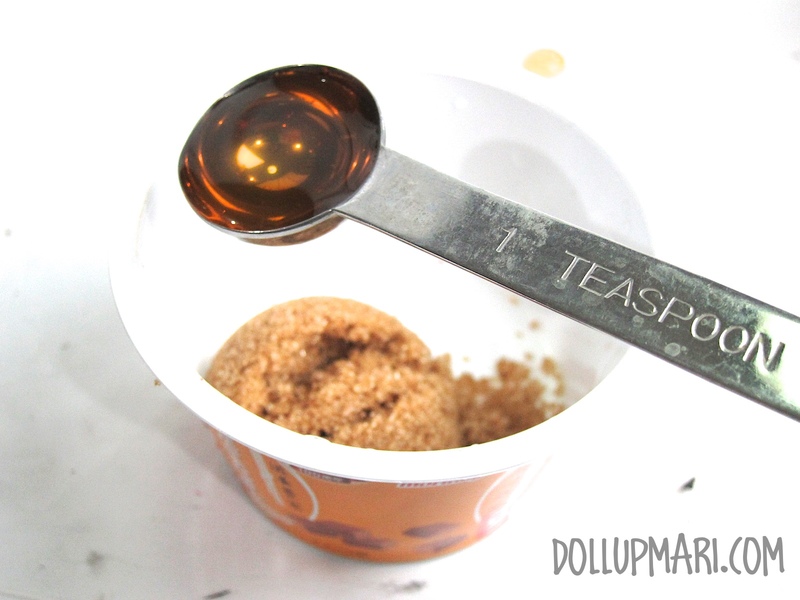 With brown sugar and honey (and a little help from some other stuff), you can have an exfoliating yet moisturizing face mask! 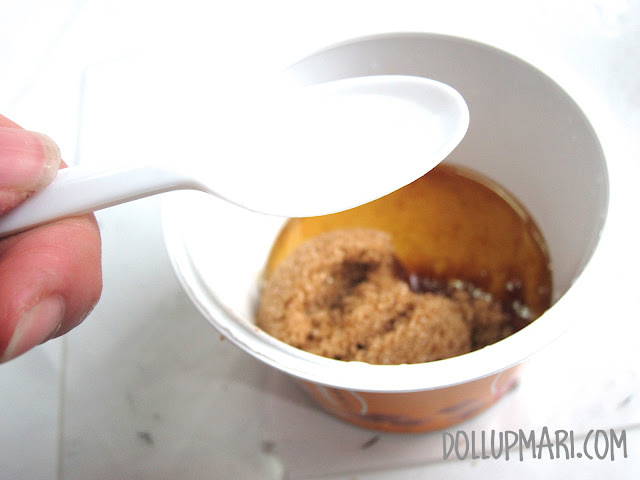 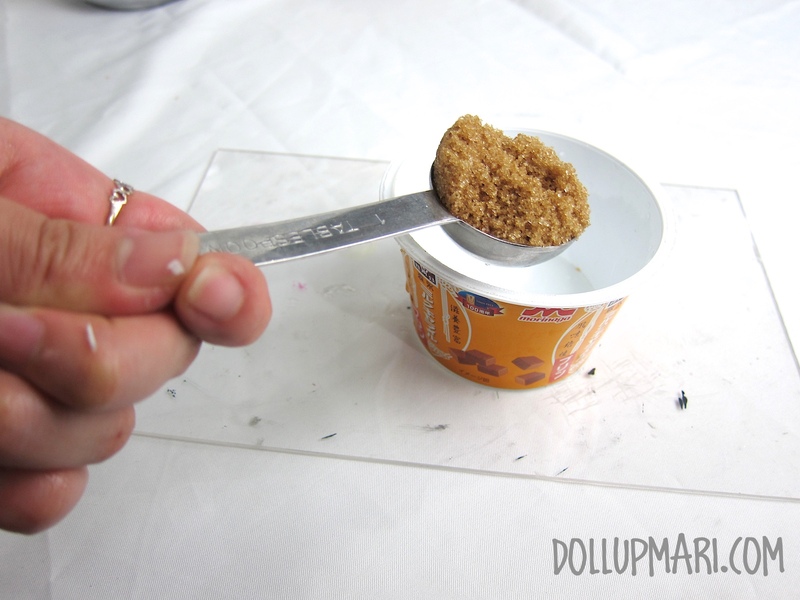 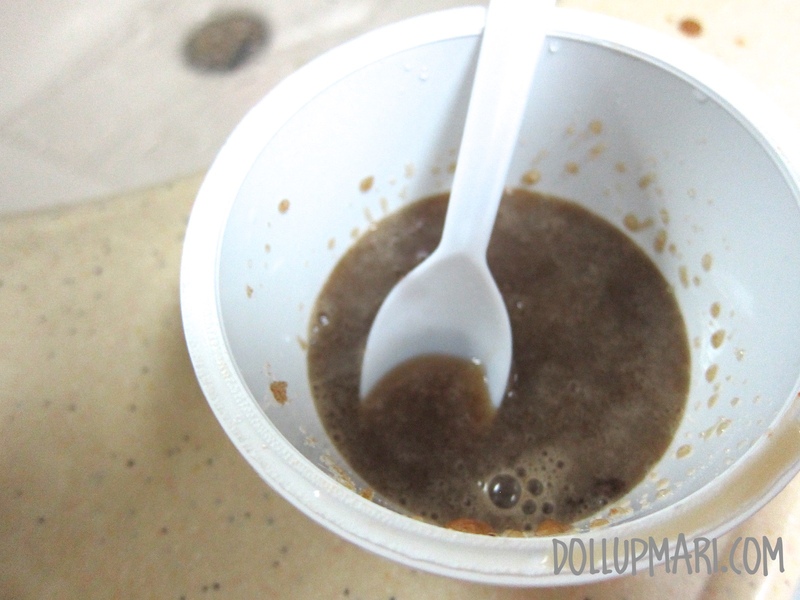 To start, put 1 tablespoon of brown sugar in a cup. 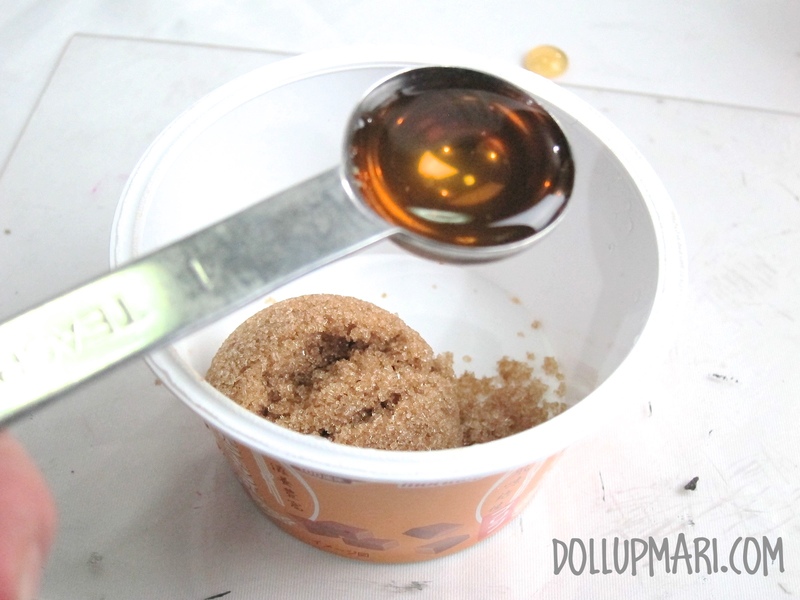 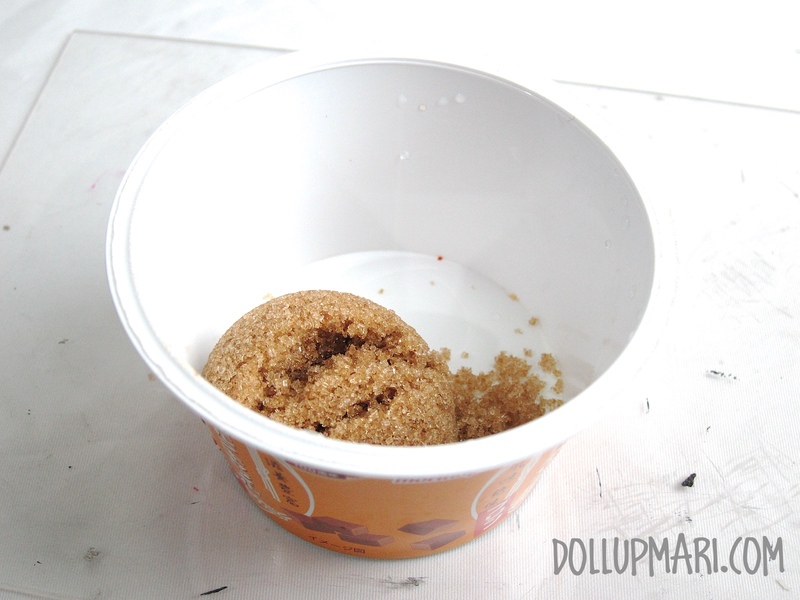 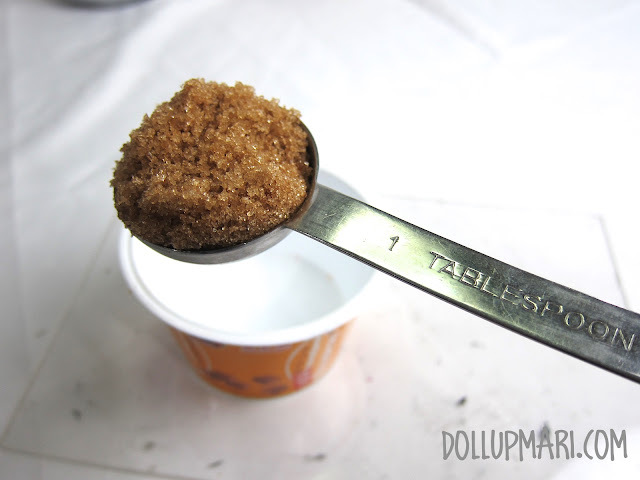 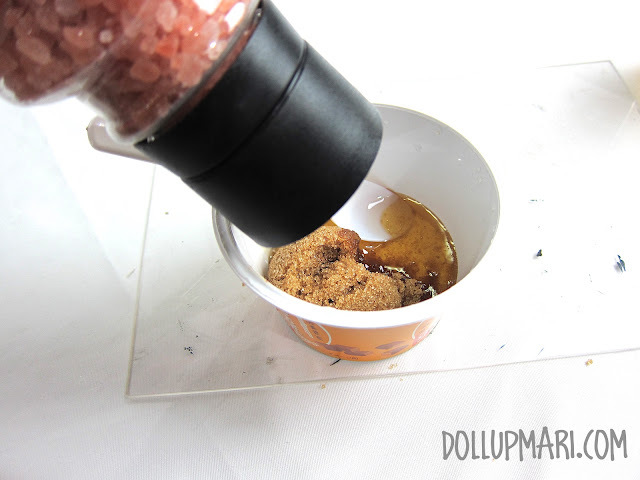 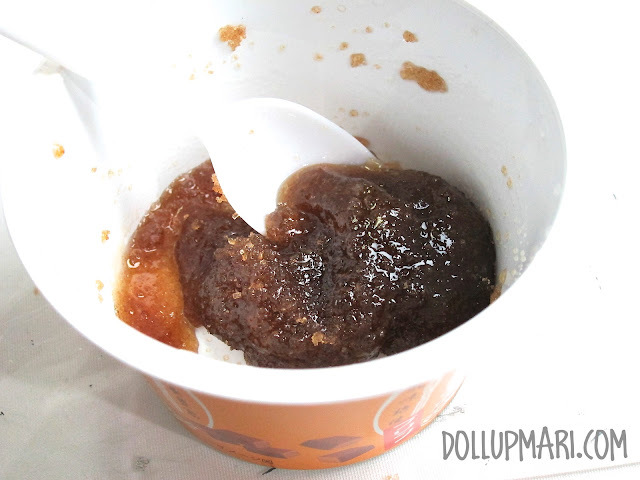 The brown sugar's purpose here is for exfoliation, the grit of the sugar works as a face scrub as you massage the mask in, and helps to get those dead skin cells off of your face. 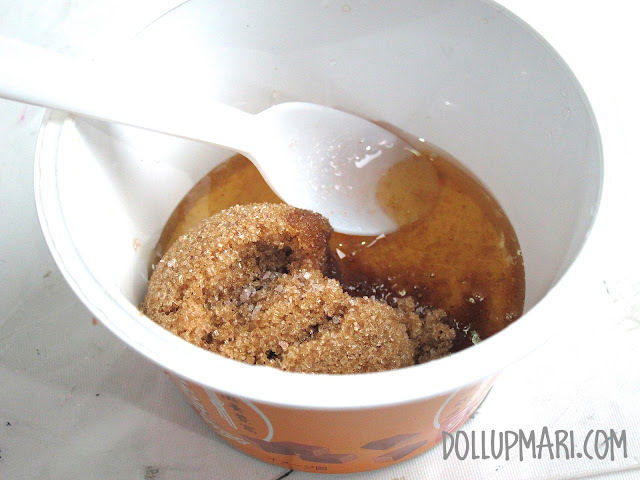 Next, take a teaspoon of honey and add it into the brown sugar. 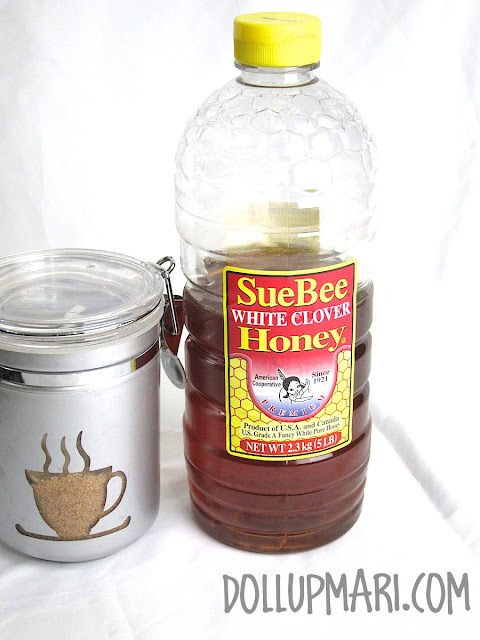 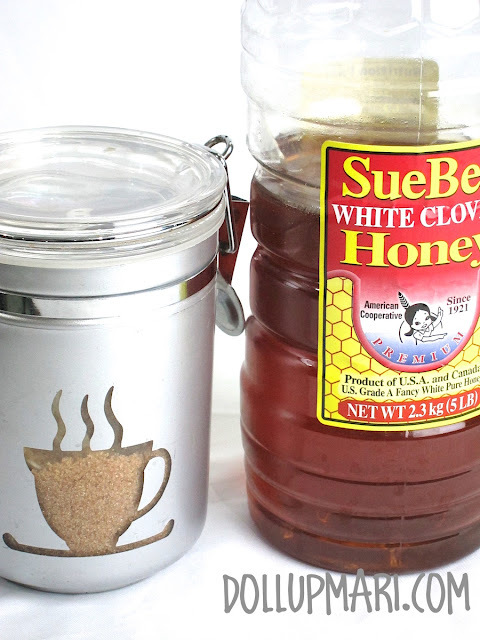 Honey is known for how much it moisturizes the skin. 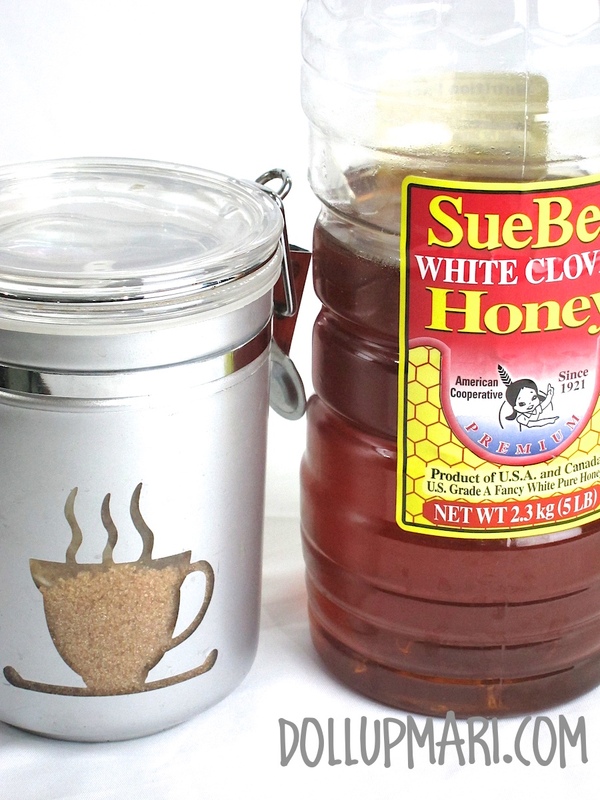 In fact, I heard that this year's representative of Korea to the Miss Universe pageant puts honey on her face every night to keep her skin moist! 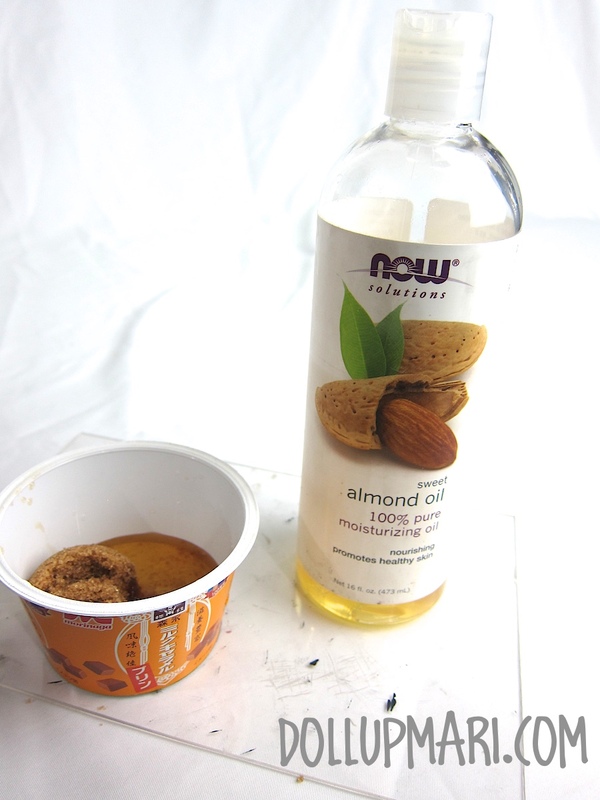 For more moisturizing power, I'm now just going to add almond oil. Don't be too afraid of using this as we're just using a minute amount and the mask will be washed off anyways. 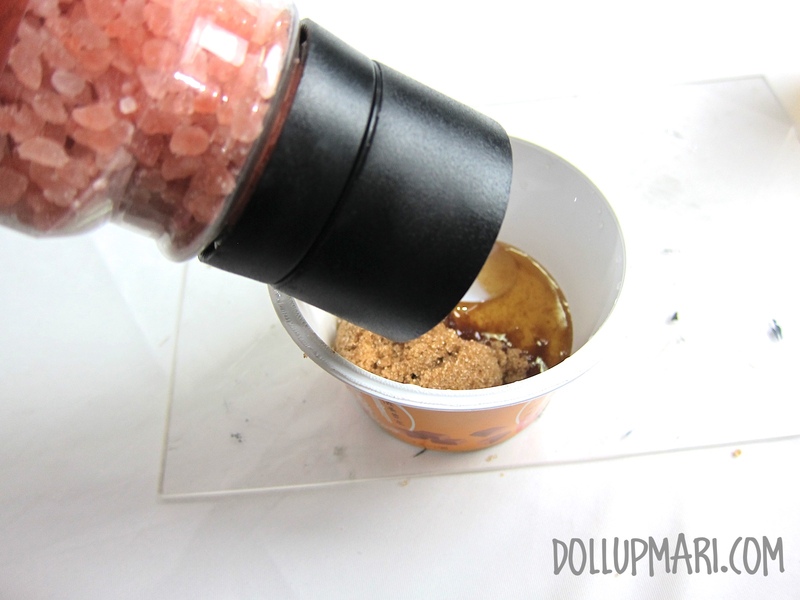 No need to be scared of breakouts. I also read in the news that this lady who has her hands insured as she is a hand model actually just swears by massaging almond oil to keep her hands soft and photoshoot ready! Relative to all the expensive creams out there, almond oil is already super affordable (we got that giant bottle for just 10USD). 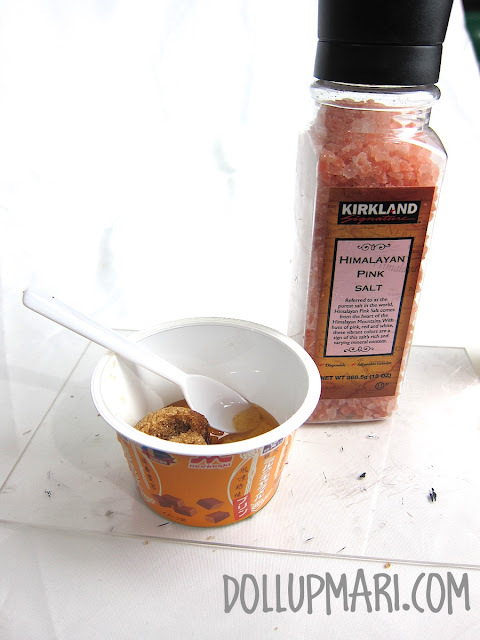 For more grit, I'm now just putting a small amount of Himalayan sea salt into the mix. And we're done! It's now time to apply it on the face. 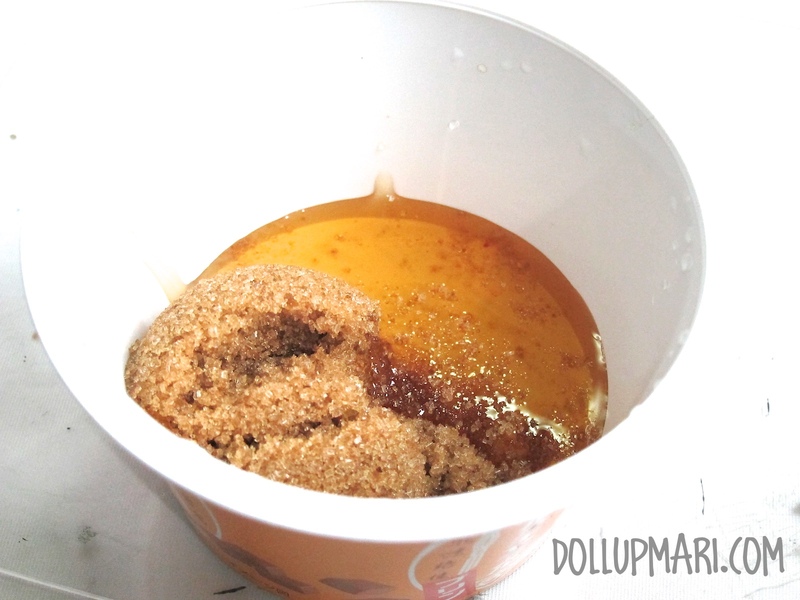 So just leave this on for 15-20 minutes then rinse. If the amount is too much you can also use this as a foot scrub or you can simply just find another person who wants a face mask.